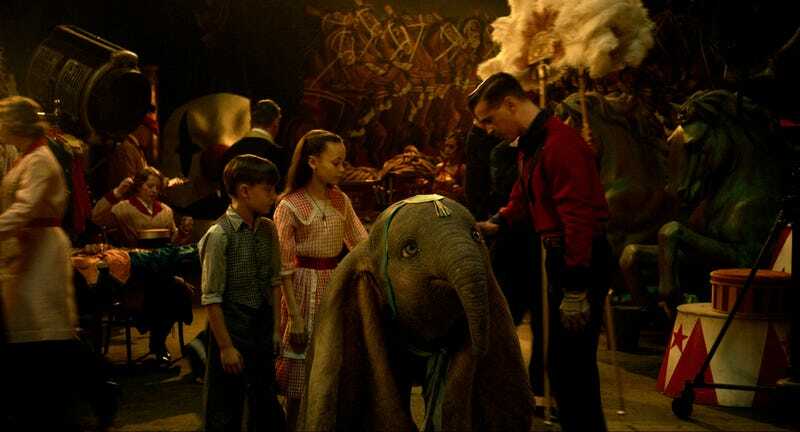 Dumbo centres on the antics of a travelling circus lead by Max Medici (Danny DeVito) and the return of one of the circus’ stars, Holt Farrier (Colin Farrell), who has just come back from war. Holt’s two kids Milly and Joe (Nico Parker and Finley Hobbins) are happy to see him because their mother, his wife, died while Holt was away. Which should be sad, but isn’t because the characters know that before the audience does, so the matter-of-fact delivery about her death is basically an afterthought. As is the fact Holt lost his arm and may just be a war hero. These things are briefly mentioned or joked about, but never explored. Once Dumbo is in the movie, the whole plot is predicated on him being treated as a mistake. Like his large, floppy ears are a bad thing. And yet, clearly this baby elephant with huge ears is adorable and the characters being so negative about his nature feels dated. Isn’t being different in a circus not just good, but encouraged? And yet, there’s this instant aversion and venom from them. It makes no sense and feels like it’s only happening because that’s what the original film dictated – which, hopefully, you have begun to realise is a running theme. That’s the story of Dumbo, though. Unmotivated actions coupled with a razor-thin veil of emotion, coupled with a decent CG spectacle into a film that never truly takes flight. Not even the cast – which also includes Oscar winner Alan Arkin, who gives a shockingly mundane performance – can save the film from itself. 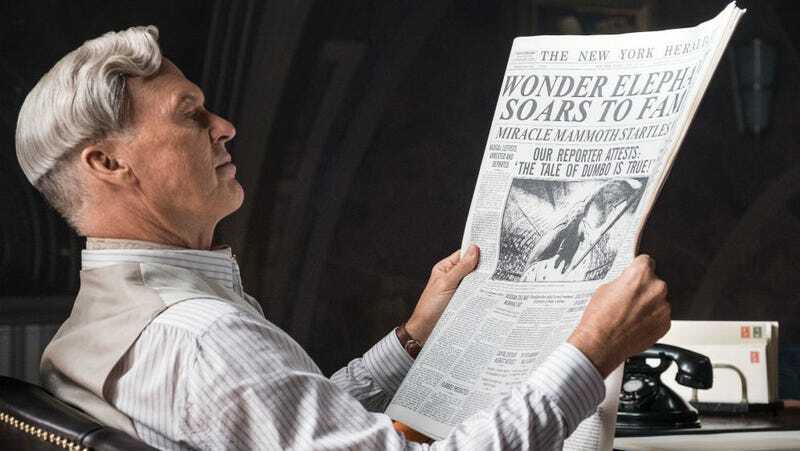 Kids will probably enjoy Burton’s brand of wonder and forgive the film’s serious issues, and adults might find their emotional attachment to the 1941 original lifting their spirits. Without those boosts though, Dumbo is a no go.